or via my Etsy Shop or my DaWanda Shop. 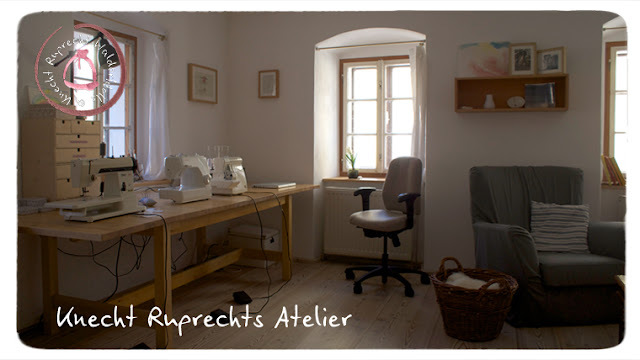 If a Knecht Ruprecht Companion Doll or a Knecht Ruprecht Cuddle Doll is custom made it is often made in accordance with the childs skin, hair and eye color. 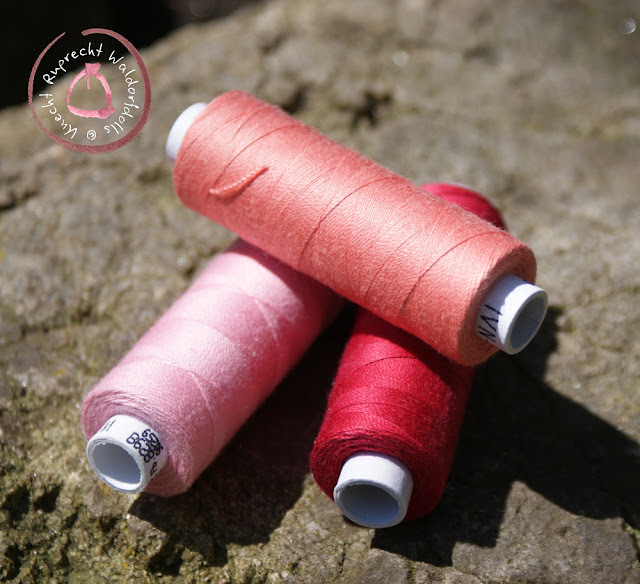 All dolls are handmade with love and attention to detail from only natural materials. The dolls head is sculpted in the traditional Waldorf style and its facial features are hand embroidered. Each and every doll I make is unique and handmade by myself. 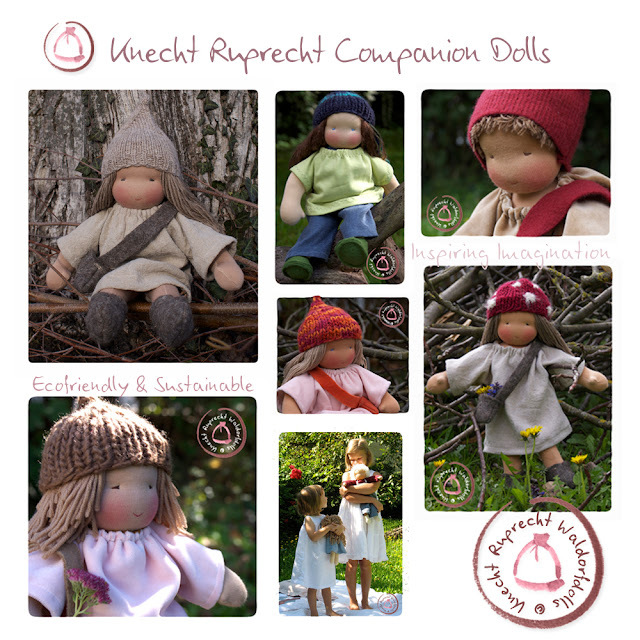 Knecht Ruprecht Companion Dolls are currently available in three sizes 20 cm, 30 cm and 40 cm. They have a simple bottom, simple hands and feet. Arms and legs are moderately curved, freely movable and allowing natural postures. Knecht Ruprecht Cuddle Dolls are available in two different sizes. The Knecht Ruprecht Cuddle Baby is perfect as a Babies first doll. The Knecht Ruprecht Cuddle Doll is a little larger and is a good doll for toddlers and young children. All pieces are made of the best materials possible. Only 100% natural wool stuffing is used. Nearly all wool and wool felt used for my dolls and doll clothing are coming from a local farmers collective. This Collective supports different rare and endangered species of sheep and organic farming, no pesticides or chemicals are used. 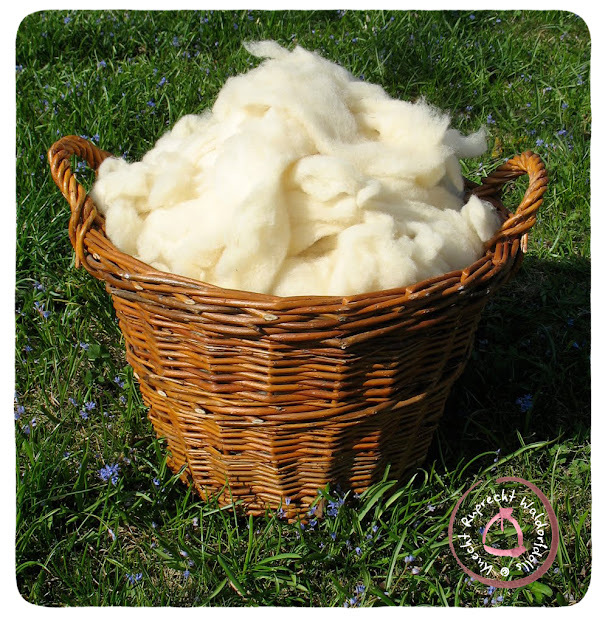 The wool is only washed with soda, mild soap and warm water. The Organic Cotton Nicki Fabric I use in my attelier is fairtrade and GOTS certificated. 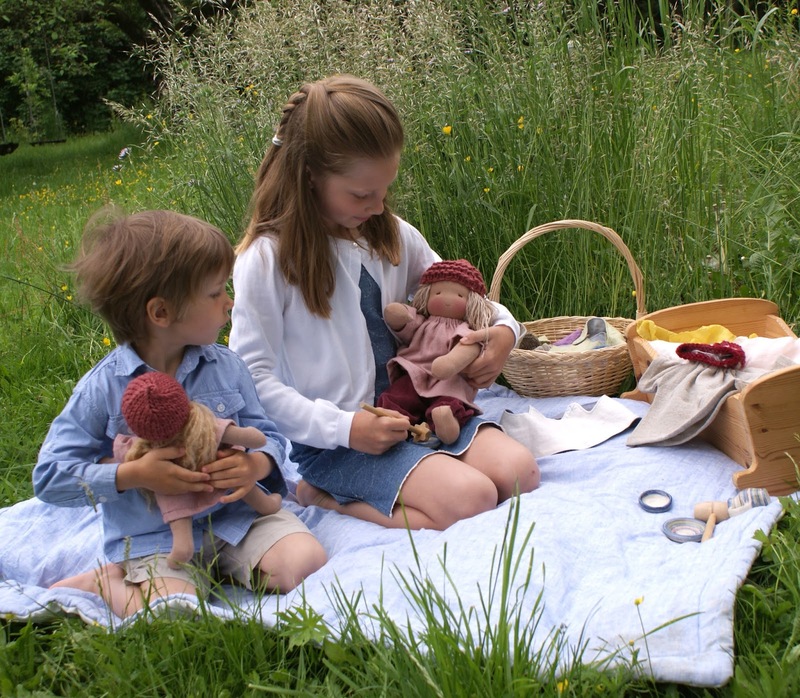 I also use organic, fairtrade and GOTS certificated cotton thread to hand embroider each dolls face. The 100% cotton skin of all Knecht Ruprecht Bunting Dolls is also fairtrade, organic and GOTS certificated. 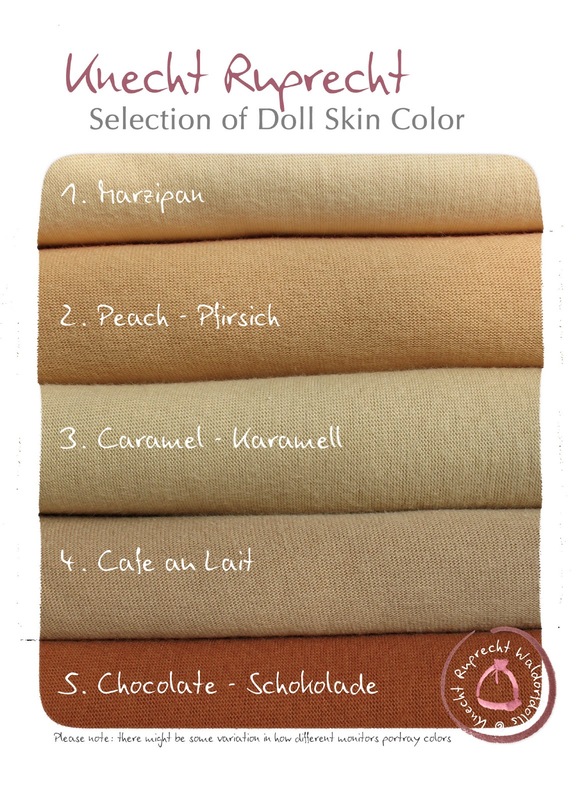 The 100% cotton skin of all Knecht Ruprecht Companion Dolls is approved in accordance with the Oeko-Tex Standard 100, Class 1 certification. It is a very high quality fabric which is used and approved since years for the purpose of Waldorfdoll making. 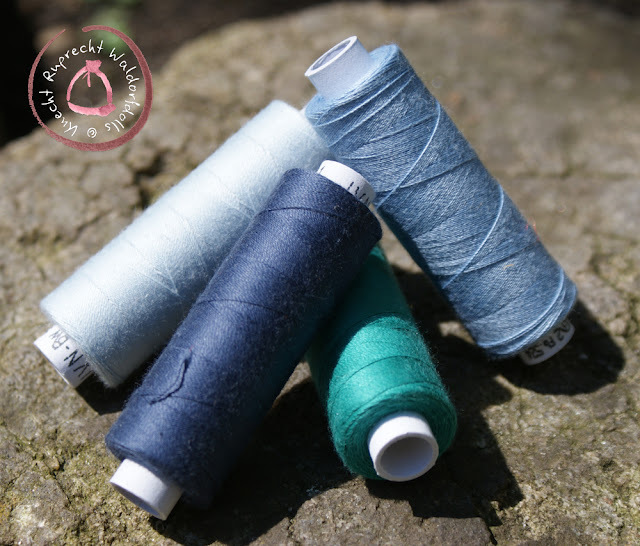 This fabric is very resistant and allows a long lifetime of the dolls I make. All Knecht Ruprecht Companion and Cuddle Dolls are available in five different skincolors. All yarns used for the dolls hair are natural. The Soft Mohair Yarn is available in six different natural shades. The selection of precious Plantdyed and Handspun Yarns varies from time to time. 100% Merino Yarn in extrafine quality is also available in different natural shades. Organic Undyed Lambswool Yarns in beautiful naturally grown shades from blond to black are one of my favorite yarns. All types of Knecht Ruprecht Dolls have been carefully torque tested, fire tested & pull tested in accordance with the European toy safety directive 2009/48 in conjunction with the European toy safety standard EN 71 parts 1 and 2. 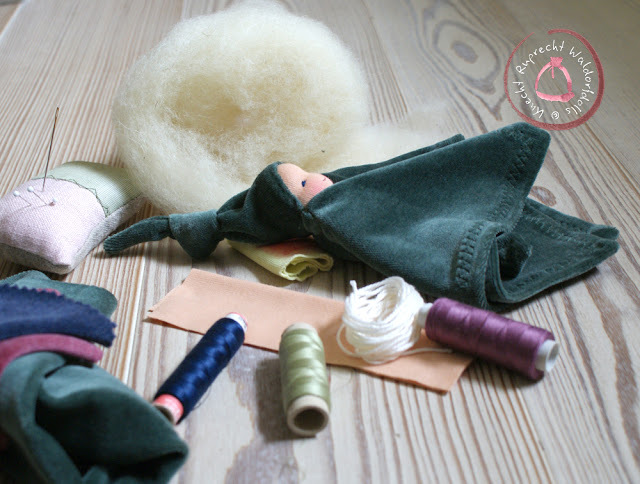 A simple silk snuggle doll can be made from one piece of silk and a little wool ball. This kind of Snuggle Doll is probably the most simple but yet one of the most enhanching dolls I know. Here You can find a free tutorial for a silk snuggle doll. The Cuddle Doll is very soft and cuddly. The Body is it's clothes and traditionally made from soft materials like velvet, niki, velour or knitted from soft wool. The body of this doll is entirely made from skin colored tricot and can be dressed with all kinds of different clothes. I am asked sometimes why I use wool and not poly fill stuffing for my dolls. 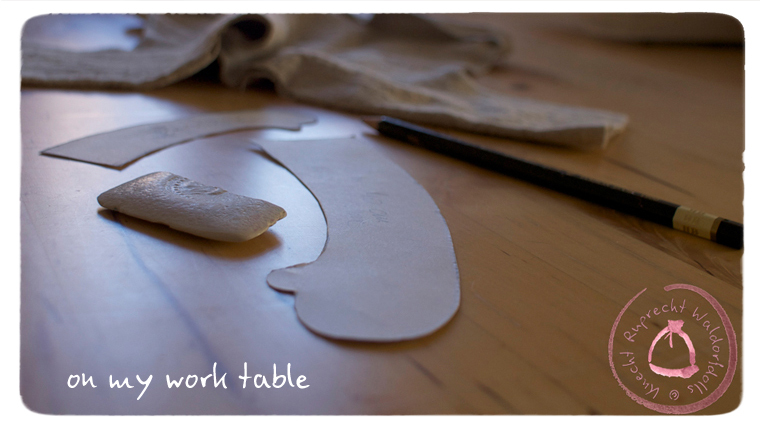 First of all it’s a natural material and I personally love to work only with natural materials. But there are much more pros for wool. When cuddled, a wool stuffed doll takes on the warmth of the body making it come "alive." Wool is naturally antibacterial. It actually can’t sustain bacteria. It's naturally hypo-allergenic, anti-microbial, flame and mold resistant. Plus, wool is calming and lowers your heart rate. 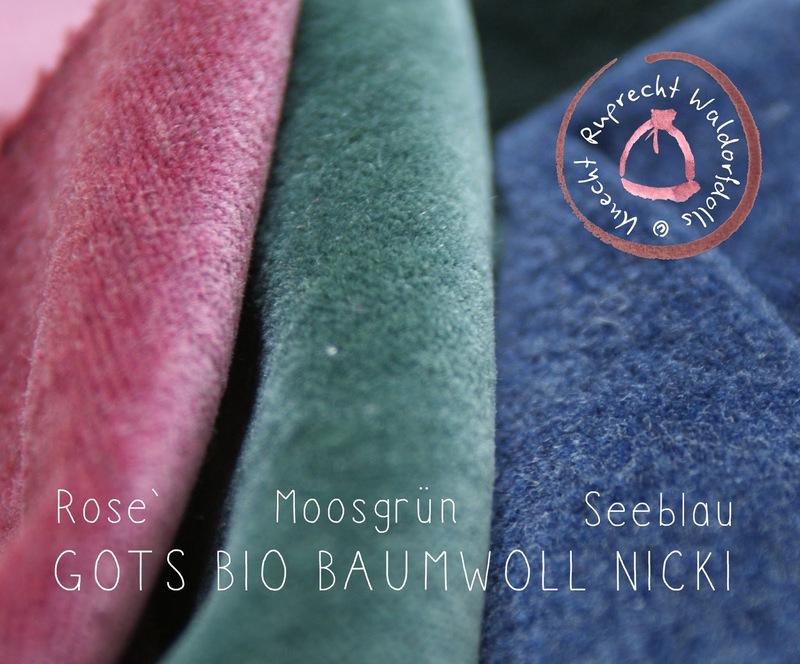 Wool doesnt take many recurces while growing, and it can be recycled 100%. I will always try my best to make what you had envisioned, but since every doll is unique you are not obligated to buy the custom you ordered. This is a risk for me of course, but I believe that my customers should be happy with there purchase. If requested I will email you pictures of the finished doll. You will make a decision on whether or not to go through with Your purchase.